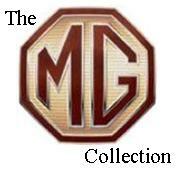 With the war over MG was anxious to return to making sports cars, and set to work upgrading the TB. Largely based on the 1939 TB, the TC had a few subtle differences. US service men having experienced the nimble little cars of Europe during the war wanted them back home and a boom in sports cars occurred in the US, MGs became something of a cult vehicle. UK government Post War regulations promoted exports to bring money into the country and, as the US had more money to spend on entertainment or luxury than the UK, the Nuffield organisation made some changes to the car to appeal to that market. In fact the Sports Car Club of America blossomed from one branch of the M.G. Car Club! The TC was indeed successful - 10,000 had been built before it was replaced in March 1950. 6,592 were exported - 2,001 to the United States. One of these cars belonged to Ed Wilkins and was to go down in history as the start of a legend. Wilkins’ daily runabout was a dark green MG TC sports with a 1250cc, 4-cylinder engine and 4-speed gearbox. Knowing Shelby was more interested in road racing than oval or drag racing, Ed entered Shelby, who was actually a chicken farmer at the time, in an MG race in Norman, Oklahoma. It would be Shelby’s first road race. Shelby beat the other MG’s, his first road race, his first win! If proof were needed that he was an outstanding driver talent it would come a little later the same afternoon. Shelby went out for a second race and beat a field of much higher class Jaguar XK 120s. For those that do not see the importance of that fact please be aware that the MG TC had a peak power output of about 54 hp. A 1950 XK120 pushed out anywhere from 160 to 210hp. Making them MUCH faster! Although the actual output of Shelby’s MG TC that day isn’t known it must have been well under the 100hp even tuned up. The wry Texan’s back-to-back victories led to one of the most historic careers in motorsports. Peaking in 1956-57 when Shelby was consecutively named Sports Car Illustrated’s “Driver of the Year.” Going on to build the legendary Shelby Cobra, and Shelby Mustang, the Shelby name become a performance icon. “Because it was early in my career, I still had a lot to learn but knew how to go fast. This MG changed my life, because from that point forward, I knew that I wanted to be involved with racing and sport cars.” said Shelby. Interestingly here were two links between Shelby and MG. As well as that famous first win Shelby’s famous Cobra was based on a car that owed it’s heritage to the prototype AC Ace which was actually a John Tojiero "special" originally powered by the XPAG (MG T series) engine. We seldom build 1/32nd scale these days as it doesn't fit in with our overall display scale. When faced with a challenge on facebook Ian decided to build this model from the matchbox range, but with a twist. Choosing the Carroll Shelby link as inspiration Ian turned the car into a version that would have been familiar on the dirt track circuits of America. The big front wings and running boards have gone and the side panels from the engine bay removed to aid cooling. Interestingly this car came up for Auction around 2007/8 and raised a lot of interest due to the history. At the time that Shelby drove it the power output, even tuned up, wouldn't have been much more than 60bhp, with continuous development on the historic circus the engine now returns over 100bhp...... very impressive, and showing the full potential of the little X PAG engine. To honour that fact Ian fully detailed the engine bay from photo's adding scratchbuilt coil, oil filter, fuel systems and control linkages. The full build album can be found on our 'FaceBook' page. The model is painted using Humbrol acrylic spray can and enamel paints. Citadel acrylic paints and inks have been used for the interior.